Binary Strategy is a binary options signal service built to help traders grow their accounts. We have a very simple process, with the goal of making you money. You are sent exact signals that tell you the direction of the trade, the asset, and the expiry time to set. You can receive the signals on your PC, MAC, Phone or E-mail. 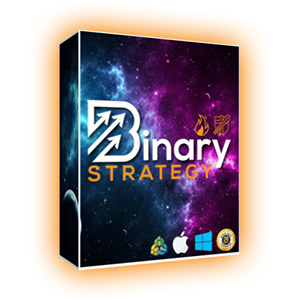 Once you receive the Binary Strategy signal, you place the trade manually, and cash in. The image on the right shows you an example signal. It is a PUT (down) signal, for the USDCHF pair, with a 15 minute expiry time. You can apply for our money back guarantee with 30 days of trading results. In order to qualify you will have to prove that you properly tested the software for an adequate period of time.